People who have never known homelessness cannot relate to the depressing living conditions, the pains of sorrow, anger, confusion, doubt, and holistic insecurity that it causes. By writing this exposition including the writer’s personal story I hope to depict the experience for people who may relate, as well as for those who do not, for the sake of awareness, understanding and compassion. Housing is as fundamental to human survival as breathing, thinking and eating, especially here in the frigid climate of Minnesota. On December 31, 2001, I walked to Rainbow Foods to purchase food. I was renting an apartment with a few friends. Returning home I noticed a local alternative newspaper with my mama’s picture on the cover beneath the headline, “Homeless for the Holidays.” I was utterly devastated. This discovery ruined my New Years Eve, making the last day of the year one of my worst. I read the article about an African American woman about my mama’s age, listing her exact height. The fact that an image of my mama’s face was printed and mass distributed on the cover of a weekly newspaper that I ended up seeing dozens of times within the next week was extremely heart wrenching. Worse than the fear of my mama feeling humiliated over having her image exploited for a newspaper article were my pitiful feelings of helplessness at not being able to provide shelter for her. I have been tormented by her struggle, in addition to my own. I was 23 years old at the time of that terrible event. I was living in a crowded apartment with some friends because I had no place of my own to live in only a few months earlier. Prior to that, I stayed with my dad for a couple of months. Prior to that, I lived with a close friend after returning from an unsuccessful attempt to get a business established in economically-challenged Louisiana. Prior to that, I was struggling back here in Minnesota. When I was 14, my dad kicked me out of the house for the first time, initiating my debilitating cycle of unstable housing. From those real-life nightmares as a teenager, I experienced moving around without knowing where I was going to sleep. Not wanting to burden anyone outside of my immediate family for long periods of time, I always ended up returning home after periods of weeks or months because I didn‘t want to sleep outdoors. At 18, I moved to Louisiana to attend college, but poverty prevented me from continuing my institutional education. A year later, I was back in Minnesota living at home, although the inevitable conflict with my angry pops was always imminent. Every time I had any amount of savings I was evicted or chose to make an exodus, requiring the exhaustion of my petty wages for survival until I was broke. Meanwhile, I lived with various loved ones with whom I could not stay for too long. I paid rent at several locations during those years but never lived anywhere for more than three to six months, until August 2002. This was the first apartment I was able to live in as a primary renter and subsequently the first time in a decade that I was able to live in one place for a year. Today I’m married, living in a different apartment, and trying to work on my second consecutive year of somewhat stable housing. Although, rent is still too high and significant reductions in pay are causing me to drown financially. My parents were legally married for over twenty years, but in the last five or so, they were no longer married in spirit. Ultimately, my mama made her exodus from the unhappy, dysfunctional relationship without adequate finances for securing stable housing. After depending on my pops financially for over two decades, balancing costly expenses and debt, she initially resorted to homeless shelters. This damaged my spirit, but my mom was so desperate and determined to escape the miserable environment that was our home that she was willing to leave a house for a shelter and I had to understand. I remember dropping my mama off at the shelter with a crushed heart because I had no place for her to live. She lived with a couple of her friends during different times, but she is stubborn about not wanting to overextend her welcome. Without the foundation of stable housing, it is much more difficult to be peaceful and focused. My mama had leases at two different apartments but, tragically, chose two consecutive slumlords who both evicted her in retaliation for trying to get them to maintain the rental units in habitable condition. One of the landlords locked my family out, keeping their personal property and ultimately stealing most of their expensive valuables, not allowing us access to what was left of his pillage until well over six months later. For the past six months or so, she has been living with a relative in a crowded and unhappy environment, where she limits her waking hours. At my previous apartment, I had my mama and four younger brothers briefly living with my wife and I, until we were threatened with eviction for having them stay with us. With two Unlawful Detainers (the curse placed on the credit records of people who have been evicted from rental property) it is more than difficult for my mama to be approved by another landlord to lease an apartment of her own. The greater challenge is my mama’s intense desire to live in a house of her own. My mama is a genuinely upright woman with tremendous wisdom, compassion, creativity and endurance. 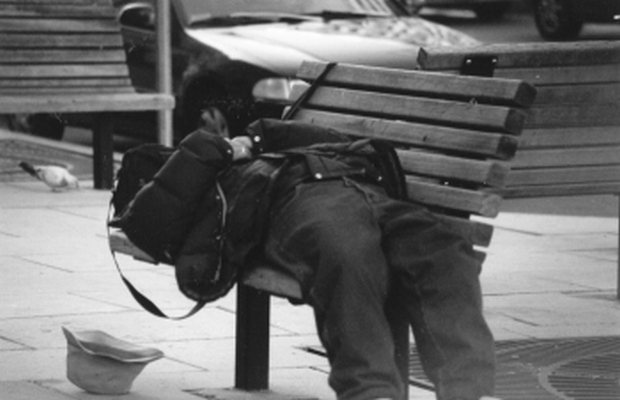 Our experiences with homelessness are much better off than that of many people, reflecting the varying levels of severity of homeless conditions that millions of Americans live and die in. Being the wealthiest and most technologically advanced society on the planet leaves America with no excuse for not providing basic needs to all people. Most homeless people work jobs but don’t earn enough money to afford rent or mortgage. Many other homeless people are mentally disabled, a large proportion being veterans of war, a clear reflection of America’s disregard for the well-being of soldiers once their duties are done. People who have never known homelessness would be amazed to realize how expensive it is. Homelessness can cost people their family structure, sanity and their lives.